Here are the Avengers in High Resolution glory! Captain America, Hulk (who appears to be naked? ), Thor, Iron Man, Hawkeye and Black Widow are flying at you! Look out! 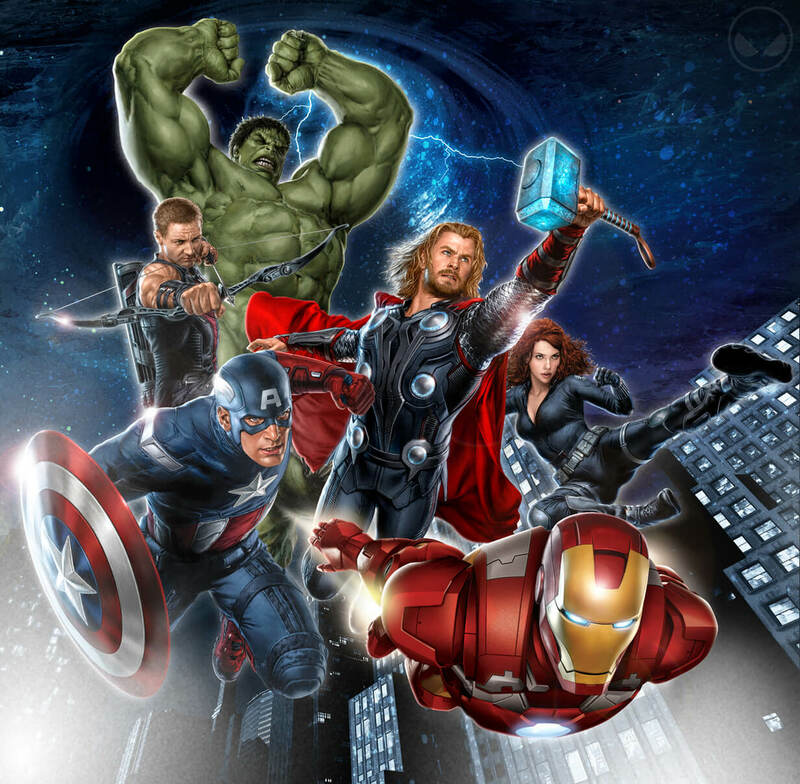 The Avengers will hit (pound, blast, kick, zap, and otherwise pummel) movie screens in 2012! It stars Robert Downey Jr. as Tony Stark/Iron Man, Chris Hemsworth as Thor, Mark Ruffalo as Bruce Banner/The Hulk, Chis Evans as Steve Rogers/Captain America, Jeremy Renner as Clint Barton/Hawkeye, Scarlett Johansson as Natasha Romanoff/Black Widow, and Samuel L. Jackson as Nick Fury.